Green Jello Shots: a festive dessert and prep-ahead cocktail! Who says you have to choose between dessert and drinks? 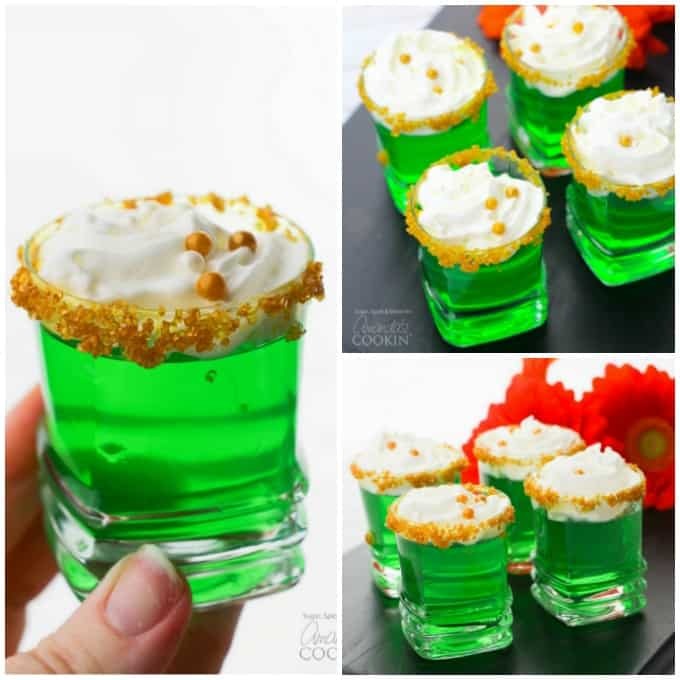 With these cute and easy Green Jello Shots, you can have both! Jello Shots are mostly thought of as something you see at college parties or bachelorettes – but they can add a fun and delicious option to just about any party! 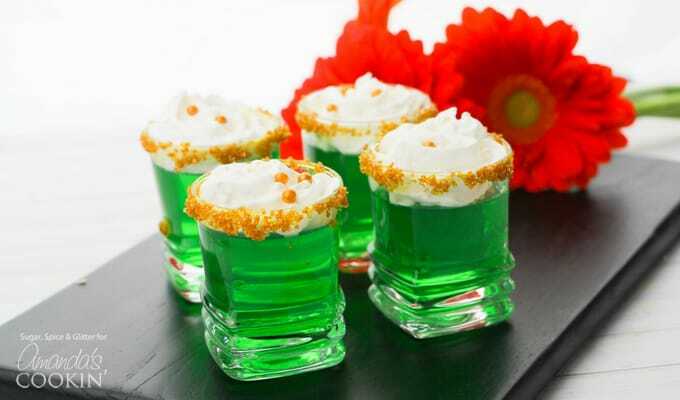 Everyone gets excited at the presentation of a tray of Jello Shots and they serve double duty – as a fun dessert and prep-ahead cocktail. 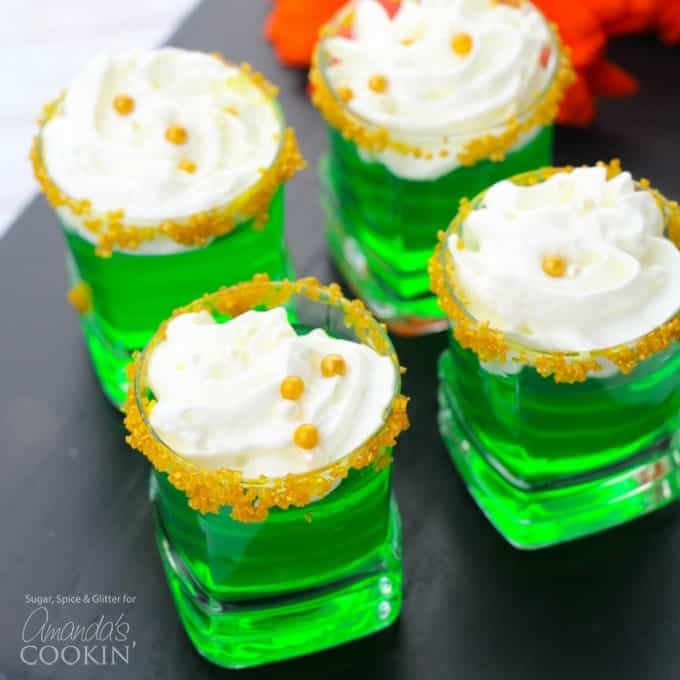 These Green Jello Shots with gold sugar rims and a dollop of whipped cream are perfect for St. Patrick’s Day, but they also reminded me of mini lime pies, so they’d be perfect all summer long, too! Swap out the gold sugar rim for red sugar and you have an awesome Christmas cocktail, as well. I’ll be prepping a big bowl of our rainbow salsa and making a tray of my Guinness Cake Pops to round out my St Patrick’s Day party menu, and then kicking back and actually enjoying the party instead of fussing over making drinks all night! RELATED: For a summer version of jello shots, try our Watermelon Jello Shots– this recipe shows you two different ways to make these fun shaped watermelon shots! Makes 8-10 depending on the size of your shot glasses. I think the ability to make a tray of these before a party and kiss your bartending responsibilities good-bye is probably the best part about Jello Shots. There is no need to pour and replenish glasses – it’s all ready to go! These are also great to bring to a party – what hostess wouldn’t love someone showing up with a tray of festive Jello Shots?! I’m a big fan of dessert cocktails (we’ve shared these Bailey’s Coffee Float and this Valentine’s Mudslide here before) but this is the first time I’ve shared this classic, yet under-appreciated dessert cocktail. Don’t miss our delicious Bailey’s Irish Cream Chocolate Fudge, decked out in St.Patrick’s Day sprinkles! Or these Shamrock Shaped Brownies for another festive dessert idea. 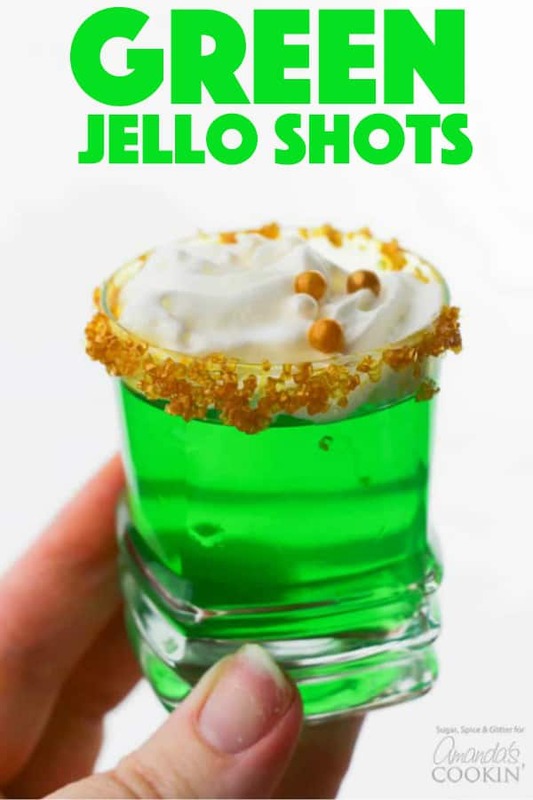 If you're having a St. Patrick's Day get together, these green jello shots will be the hit of the party! Boil the 1 cup water as you empty the green jello powder into a medium-sized bowl and assemble your shot glasses. Pour the 1 cup boiling water into the powder and whisk until fully dissolved. Carefully add the 1/2 cup vodka and 1/2 cup cold water. Pour the jello liquid into a measuring cup and then distribute evenly amongst the shot glasses. 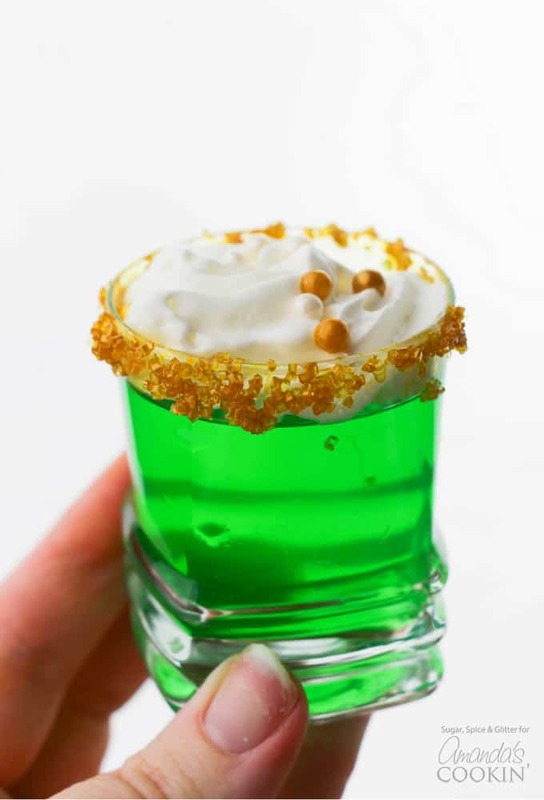 To add a sugar rim, carefully run the lip of each glass under cold water (holding the shot glass upside down) and then dip the glasses into a small dish filled with the gold sugar crystals. Garnish with a dollop of whipped cream and a sprinkle of gold pearl candies. 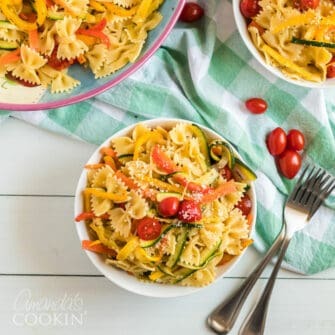 This post was originally published on this blog on Feb 26, 2018.